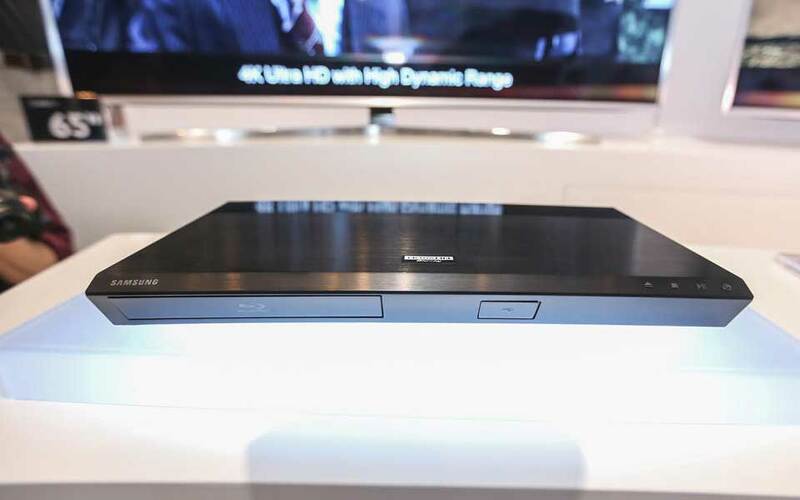 Samsung UBD-K8500, the first Ultra HD 4K Blu-ray player, has gone on sale a bit earlier than expected. The device was announced at IFA last year, and scheduled to hit stores around March. However, there have been scattered reports that certain shops have already got the player in stock, while customers who preordered the device from Best Buy have been told it’s now shipping on February 10th. One store in Santa Monica which advertised the player on Friday seems to have sold out that same day, according to a Facebook post. Why exactly the shipping date for the UBD-K8500 has been pushed forward is anyone’s guess, although it’s certainly not to keep up with a rush of 4K content. Although plenty of movie studios have announced films that will be released or re-released in the new format, it’s not clear if any are currently available nationwide. Launch titles, such as The Martian and Kingsmen: The Secret Service, are still listed as preorder only on Amazon, while the majority of confirmed films have uncertain release dates scheduled for sometime before the end of the year. Thankfully, though, Samsung’s UBD-K8500 can also stream 4K content from providers like Netflix and plays regular Blu-rays, DVDs, CDs, and 3D discs. You know, that format that was going to be the next big thing just before it turned out UHD and HDR were actually the next big thing. And although 4K should have a longer shelf-life than 3D, there’s probably no rush to go out and grab a player yet.